This ebook includes 101 backend marketing offers. 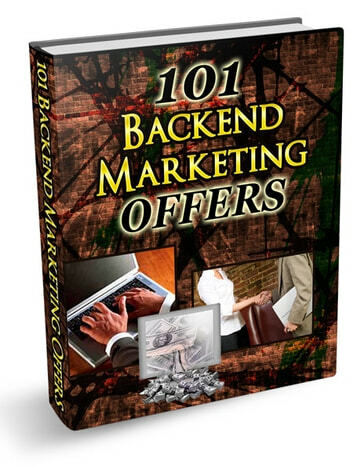 It lists you all kinds of special backend offers you could create to increase your sales after your prospect takes a certain action. And you could also use them for front end sales too. Plus, it gives you many different ideas for free bonuses that will help influence people to buy instantly.